Another week, another midweek fixture for Celtic. The games are coming thick and fast for Brendan Rodgers’ invincibles. At the weekend Celtic saw off Hibs in a pretty decent semi-final at Hampden. An unlikely double from our vice-captain and the returning Moussa Dembele was enough to make the final next month. Now Celtic will face a lively Motherwell who put Rangers to the sword on Sunday. Tonight though it is all about league duties. Celtic travel to Pittodrie for this evenings encounter with Aberdeen. Both clubs are neck and neck. The question now is whether a share of the spoils is on the cards or if one club is about to give up their unbeaten run? Neither club will be willing to give this one up easily especially so early in the season. Aberdeen have home advantage, but they have also lost the last seven matches to Celtic home or away. Their last victory was recorded back February 2016 at Pittodrie but Celtic will be favourites for this one. If this game is a draw, it’ll be the first between the two since the 1-1 result in March 2012. Should that be the case it wouldn’t be a disaster. Both clubs would take a draw right now I am sure. It means both would remain unbeaten and the league challenge continues. Once more Brendan Rodgers is sure to make changes. The squad rotation has been in full use so far this season but a strong side will be required for tonight. 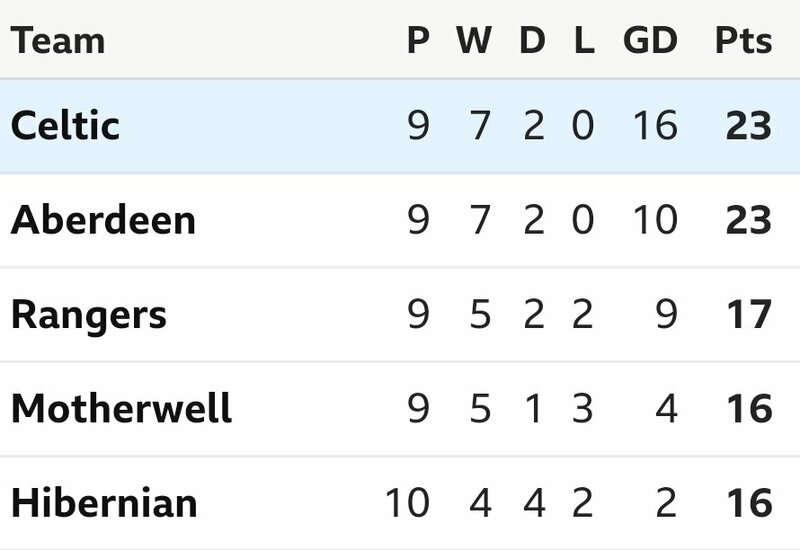 Aberdeen will be looking to get something from this and Celtic will not want to give up their unbeaten domestic run. It should be a good game.